At this time of year (here in North America), kids are getting ready for summer holidays. This old A Muse bus stamp is perfect for an 'end of year' card. I feel like I've make this card before. To change it up a bit, I tilted the bus to create a bit of movement and a feeling of fun! I also chose a different sentiment this year - an old Stampin' Up stamp (Road to Happiness) that seemed appropriate. 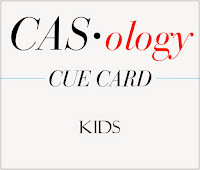 Now it's your turn - we can't wait to see how you interpret this cue card! Make sure to stop by the rest of the DT's blogs to get some more inspiration! Looks like a scary ride, Ardyth... so cute! We have a Facebook page for the complex we live in. Almost every day, there is someone complaining about the way the school bus drivers speed around the roundabouts.I just couldn't help to smile and think about this when I saw this cute card! That is just like the bus my girls take to school every day. And, they all want to be in the back! Super cute interpretation of the cue word. I love this card!! The bus image is so cute, and the movement you have created with the tilt is perfect. Those kids faces all pressed against the window, so happy that summer is finally here! There is just so much feeling in the whole scene! LOL, that's just about how the bees look pulling out on the last day of school! Fun card, love the bright pop of the yellow bus. How CUTE is this, love it Ardyth! You have totally captured the 'excitement' of the end of the school year in your bus full of multi-denominational students! I remember exactly how they feel! Wish I could do that now! Love that it is tilted!!!!!!! What a great stamp! And tilted it looks even better! Have a colourfull week! So, so cool!! 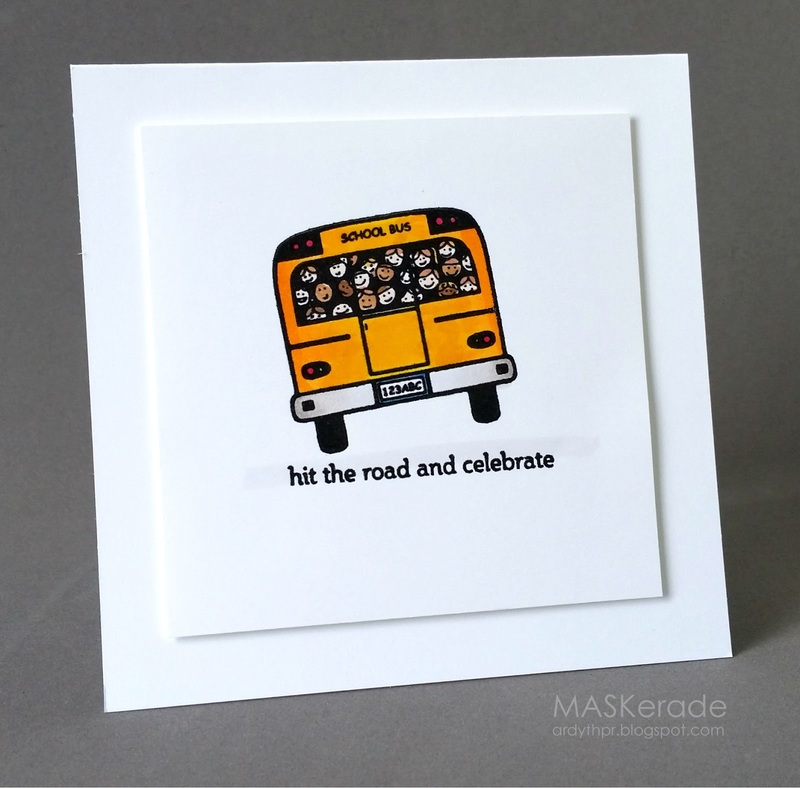 Love all the screaming, happy kids in the window....the poor bus driver....Brilliantly awesome card! This is just the cutest, Ardyth. Love how you have tilted that bus! So cute! I never rode a bus to school, but this one looks like the one my husband rode when he was a kid...the stories he tells about his crazy bus driver are hysterical! Very, very fun card!!! So super cute and I love the added tilt!